R.I.P.D. (2013) Official Trailer – This Years Men In Black? – Hooray For Movies!! Wisecracking star known for his comedy/action chops, fast mouth and pretty face? Check. Grizzled old star known for being….well…grizzled? Check. Secret department trying to save the world from being overrun by monsters? Check. Men In Black 4? No. This is in fact R.I.P.D. and it could be the surprise hit of the summer. Based on Peter Lenkov’s graphic novel by the same name the story follows a recently slain cop (Reynolds) as he comes to terms with his recruitment to the Rest In Peace Department, a supernatural police force charged with tracking down escaped souls. 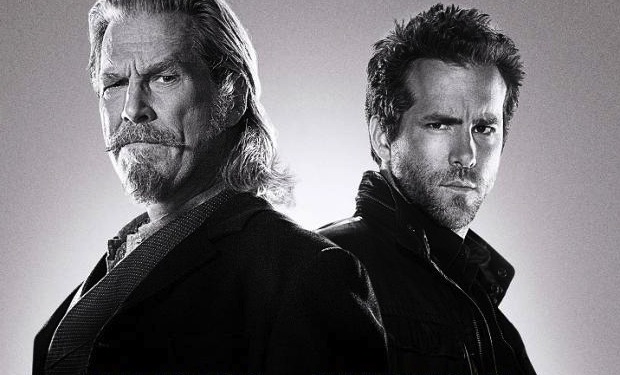 The trailer is pretty fantastic and the idea of Ryan Reynolds and Jeff Bridges fighting un-dead souls is intriguing, particularly as Bridges is going almost full True Grit. There seems to be a definite M.I.B. (1996) chemistry between the leads and I just pray to the Hollywood Gods that the best bits aren’t all in the trailer! R.I.P.D. is released 30th August 2013, and for those that can’t wait then go buy the comic books to tide you over.